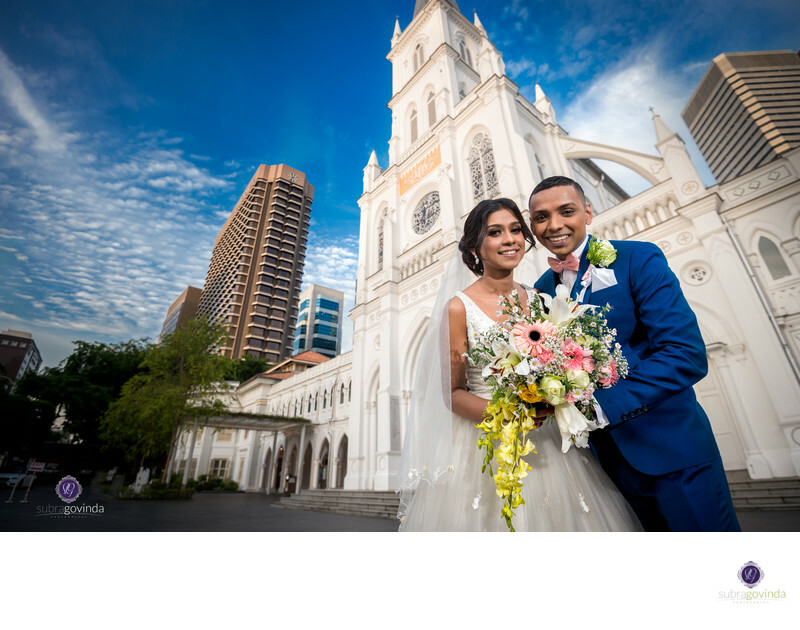 This wedding photograph is from CHIJMES, a former Catholic convent known as Caldwell House. It’s located in the Downtown core, in Singapore’s central business district. The Gothic-style chapel in the background of this photo is a national monument built in 1904. As a wedding venue, I work here often photographing both Western and Indian weddings.